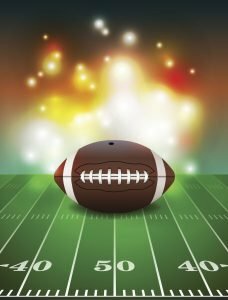 If last year was any indicator, some 114 million people will be glued to their TV screens on Sunday as the Denver Broncos take on the Carolina Panthers in the 2016 Super Bowl. If you get your kicks more from the commercials, though, there’s good reason for that: A 30-second Super Bowl ad costs as much as $5 million, meaning advertisers are willing to pay big bucks to have their best work in front of that many eyeballs. In honor of the big game, we decided to look back at some of our favorite Super Bowl spots over the years: ones that made us laugh, ones that made us cry and ones that made us love Betty White even more. Wendy’s: “Where’s the beef?” The catchphrase was born out of this 1984 Super Bowl ad. E-Trade: The company’s adorable talking tot debuted in 2008, lending some humor to the financial services industry. Google: In 2010, viewers of this minimalist Google ad were taken through the journey of an American studying abroad in Paris, falling in love and starting a family. Snickers: Casting the beloved Betty White in this 2010 Super Bowl commercial helped lead to the resurgence of the actress’ career. Budweiser: The Budweiser Clydesdales come to the rescue of their lost puppy pal in this 2015 commercial, securing the company’s spot as the king of Super Bowl commercials. Whether you’re rooting for the Carolina Panthers or the Denver Broncos (go Peyton! ), we can probably all agree that sometimes what happens between plays is just as memorable.